This entry was posted in reading comprehension and tagged english, reading, reading comprehension on August 26, 2018 by Dr. Darrin. This post will explore each of these characteristics of a story. The setting statement introduces the character of the story and often identifies who the “good guy” and “bad guy” are. Many movies do this from Transformers to any X-men movie. In the first 10-15 minutes, the characters are introduced and the background is explained. For example, in the classic story “The Three Little Pig” the story begins by telling you there was a wolf and three pigs. The initiating event is the catalyst to get the characters to do something. For example, in the “Three Little Pigs” the pigs need shelter. In other words, the initiating event introduces the problem that the characters need to overcome during the story. The internal response is the characters reaction to the initiating event. The response can talk many forms such as emotional. For example, the pigs get excited when they see they need shelter. Generally, the internal response provides motivation to do something. The internal plan is what the characters will do to overcome the initiating event problem. For the pigs, the plan was to each build a house to prepare for the wolf. The attempt is the action that helps the characters to reach their goal. This is the step in which the internal plan is put into action. Therefore, for the pigs, it is the actual construction of their houses. At this step, the story indicates if the attempt was successful or not. For the pigs, this is where things are complicated. Of the three pigs, two were unsuccessful and only one was successful. Success is determined by who is the protagonist and the antagonist. As such, if the wolf is the protagonist the success would be two and the failure one. The reaction is the character’s response to the direct consequence. For the two unsuccessful pigs, there was no reaction because they were eaten by the wolf. However, for the last pig, he was able to live safely after his home protected him. Even small children will have several of these components in their storytelling. However, it is important to remember that the components are not required in a story nor do they have to follow the order specified here. Instead, this is a broad generalize way of how people communicate through storytelling. This entry was posted in reading comprehension and tagged reading comprehension on December 20, 2017 by Dr. Darrin. In my experience as a teacher for several years at university, I have noticed how students consistently struggle with reading an academic text. It seemed as those they were able to “read” the words but always lack the ability to understand what the text was about. I’ve thought about this challenge and have been lead to the following conclusions. None of these points apply to everybody. However, it is common for me to ask my students if they read something and they usually that they yes the did read it. However, as I begin to ask questions and to explore the text with them it quickly becomes clear they did not understand anything that they read. This is partially due to the problem that students read passively even though reading is active. The student never thinks of the relevance of the reading to their own life or future career. In other words, reading is not the problem, rather it is what to do with what they have read. The purpose of studying is to use what you have learned. Few of us have the time, to simply learn for fun. Often, we learn to do something for monetary reasons. In other words, some sort of immediate application is critical to reading success. Another important aspect of reading comprehension is understanding the structure of academic writing. Textbooks have different subjects but they all have a surprisingly similar structure which often starts with the big picture and zooms down to the details. If students can see the structure it can greatly improve their ability to understand what they are reading. The analogy that I like to use is that of a tour guide. A tour guide’s job is to show you around a particular place. It could be an entire city or a single tourist attraction it all depends on the level of detail that he or she wants to provide you. Often, at the beginning of a tour, the tour guide will explain the itinerary of the tour. This provides the big picture purpose of the tour group as well as what to expect during the journey. If the trip is especially detail you may visit several different places. At each place, there will be several places to see at each place that the tour guide will mention. For example, If I go to Thailand for vacation and visit Bangkok there will be several locations within Bangkok that I would visit such as Malls and maybe a museum. It is the tour guide’s job to guide me in the learning experience. The author of an academic text is like a tour guide. Their job is to show you around the subject they are an expert in. The tour guide has an itinerary while the academic author has a preface/introduction. In the preface, the author explains the purpose of the book, as well as the major themes or “places” they will show you on the tour. The preface also explains who the book is for. Each chapter in an academic text is one specific place the author wants to show you on the tour. Just as a tour guide may show you a museum in Bangkok so an author will show you one aspect of a subject in a chapter. Furthermore, every chapter has several headings within it. This is the same as me seeing the dinosaur exhibit at the museum or the ancient Thai instruments exhibit. These are the places within the place that you visited. We can break this down further about subheadings and more but I think the point is clear. The layout for an academic text is not mysterious but rather highly consistent. Having said this here are some critical ideas to remember when you read. This entry was posted in reading comprehension and tagged reading comprehension on November 6, 2017 by Dr. Darrin. “The book is boring.” This is a common complaint many lecturers receive from students about the assigned reading in a class. Although this is discouraging to hear it is usually a cry for help. What the student is really saying is that they cannot understand what they are reading. Yes, the read it but they didn’t get it. The missing ingredient for students to appreciate academic reading is to understand the structure of academic writing. Lecturers forget that students are not scholars and thus do not quite understand how scholars organize their writing. If students knew this they would no longer be students. Therefore, lecturers need to help students not only understand the ideas of a book but the actual structure of how those ideas are framed in a textbook. This post will try to explain the structure of academic writing in a general sense. Below is a brief outline of a common structure for an academic textbook. Here is what I consider to be a major secret of writing. The structure is highly redundant but at different levels of abstraction. The preface, chapter, and headings of a book are all the same in terms of purpose but at different levels of scope. The preface is the biggest picture you can get of the text. It’s similar to the map of a country. The chapter zooms in somewhat and is similar to the map of a city. Lastly, the headings within a chapter are similar to have a neighborhood map of a city. The point is that academic writing is highly structured and organized. Students often think a text is boring. However, when they see the structure, they may not fall in love with academics but at least they will understand what the author is trying to say. A student must see the structure in order to appreciate the details. Another way to look at this is as follows. A book is like a body, you have cells, you have tissues, and you have organs. Each is an abstraction of a higher level. Cells combine to make tissue, tissues combine to make organs, etc. This structure is how academic writing takes place. The goal of academic writing is not to be entertaining. That role is normally set aside for fiction writing. Since most students enjoy entertainment they expect academic writing to use the same formula of fun. However, few authors place fun as one of the purposes in their preface. This yet another disconnect between students and textbooks. Academic writing is repetitive in terms of its structure. Each sub-section supports a higher section in the book. This repetitive structure is probably one aspect of academic writing students find so boring. However, this repetitive nature makes the write highly efficient in terms of understanding giving that the reader is aware of this. This entry was posted in reading comprehension and tagged reading comprehension on October 25, 2017 by Dr. Darrin. A major problem students have in school is understanding what they read. However, the problem often is not reading in itself. By this I mean the student know what they read but they do not know what it means. In other words, they will read the text but cannot explain what the text was about. There are several practical things a student can do to overcome this problem without having to make significant changes to their study habits. Some of the strategies that they can use involve looking at the structure of how the writing is developed. Examples of this include the following. 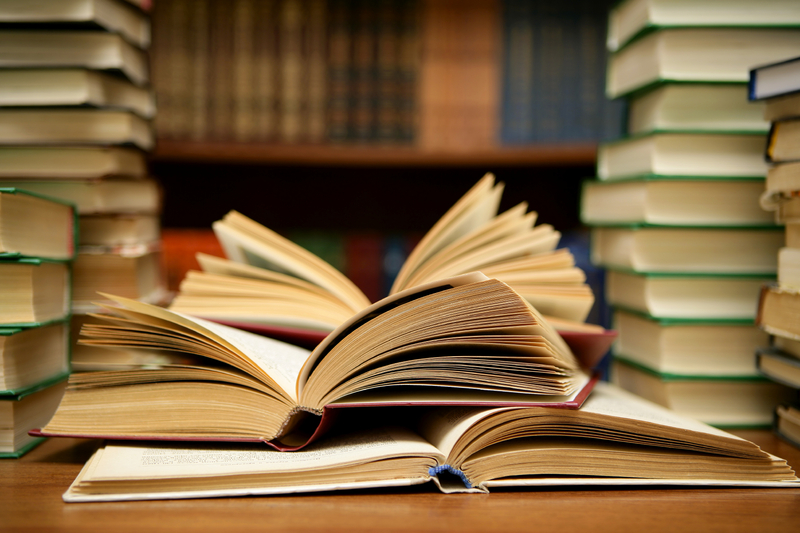 In this post, we will look at the benefits of reading the preface to a book. When students are assigned reading they often skip straight to page one and start reading. This means they have no idea what the text is about or even what the chapter will be about. This is the same as jumping in your car to drive somewhere without directions. You might get there eventually but often you just end up lost. Knowing the purpose of the text is beneficial to understanding the author’s viewpoint. This is often more important in graduate studies than in undergrad. Knowing the main themes of the book helps from a psychological perspective as well. These themes serve as mental hooks in your mind in which you can hang the details of the chapters that you will read. It is critical to see the overview and big picture of the text so that you have a framework in which to place the ideas of the chapters you will read. Many books do not have a preface. Instead what they often do is make chapter one the “introduction” and include all the aspects of the preface in the first chapter. Both strategies are fine. However, it is common for teachers to skip the introduction chapter in order to get straight to the “content.” This is fast but can inhibit understanding of the text. There are also usually an explanation of assumptions. The assumptions serve to tell the reader what they should already know as well as the biases of the author. This is useful as it communicates the position the author takes from the outset with the readers trying to infer this. The preface serves the purpose of introducing the reader to the text. One of the goals if the preface is to convince the reader why they should read the book. It provides the big picture of the text, shares about the author, and indicates who the book is for, as well as sharing the author’s viewpoint. This entry was posted in reading comprehension and tagged reading comprehension on October 23, 2017 by Dr. Darrin. Understanding academic text is possible through making some minor adjustment to one’s reading style. In this post, we will look at the following ideas for improving academic reading comprehension. You read the chapter title for the same reason as the preface. It gives you the big picture from which you develop a framework for placing the ideas of the author. I am always amazed how many times I ask my students what the title of the chapter is and they have no clue. This is because they were so determined to read that they never set things in place to understand. For ESL readers, it is critical that they know the meaning of every word in the title. Again this has to do with the importance of the title for shaping the direction of the reading. If the student gets lost in the details this is where teaching support is there for. However, if they have no idea what the chapter is about there is little even the be3st teacher can do. The objectives of a chapter are a promise of what the author will write about. The student needs to know what the promises are so they know what to expect. This is similar to driving somewhere and expecting to see certain landmarks along the way. When you see these landmarks you know you are getting close to the destination. The objectives provided the big picture of the chapter in a way that the preface provides the big picture of the entire book. Again, it is common for students to skip this aspect of reading comprehension. By now you probably know why to read the chapter headings. If not, it is because the chapter headings tell the student what to expect in a particular section of the chapter. They serve as a local landmark or a localized purpose. For an extremely efficient (or perhaps lazy) writer, the objectives and the headings of a chapter will be exactly the same with perhaps slight rewording. This is extremely beneficial for readers because not only do they see the objectives at the beginning but the see them stated again as headings in the chapter. Visuals are used to illustrate ideas in the text. For now, the student simply wants to glance at them. Being familiar with the visuals now will be useful when the student wants to understand them when reading. After reading the chapter, many authors provide some sort of study tools at the end. I find it most useful to read the chapter before looking too closely at this information. The reason for this is that the summary and questions at the end indicate what the author thinks is important about the chapter. It’s hard to appreciate this if you did not read the chapter yet. Knowing what is happening at the end of the chapter helps in reinforcing what you read. You can quiz yourself about the information and use this information to prepare for any examines. Previewing a chapter is a strategy for understanding a chapter. The ideas a student reads about must have a framework in which the pieces can fit. This framework can be developed through examining the chapter before reading it in detail. This entry was posted in reading comprehension and tagged reading comprehension on October 20, 2017 by Dr. Darrin. Learning to read is in no way an easy experience. In order to read at even the most basic level requires mastery of syntax, phonology, morphology, and semantics at a minimum. These are skills that we expect a child normally under the age of 8 to show some proficiency at. This post will explain a process for teaching reading to small children that worked. Of course, there is no claim here that this is the way but it does provide an example. When I began this experience I had been an educator for years at higher grades but had never actually taught anybody how to read. My training and experience have mostly been in improving reading comprehension skills. Once the alphabet was memorized, I exposed the student to the sounds of the letters. The student then had to reproduce the sound in addition to recognizing what letter it was. This was much tougher. The student would either forget what letter it was or forget the sound or both. There was a lot of frustration. However, after several more months, we were ready to move on. Letter sound production is an example of phonology or the understanding of the sounds letters make. This is a crucial step in learning to read. At this stage, we combine several letters and “sound” them out to produce words. Often, the words used had the same ending or morpheme such as “-ap”, “-at”, “-ad”. etc. and only the first letter would change. This helps the student to recognize patterns quickly at least in theory. There was also an introduction to vowels and other common morphemes. Looking back I consider this a mistake as it seemed to be confusing for the student. In addition, although phonics are valuable in learning to sound out words I found them to lack context and read “cap”, “tap”, and “map” outside the setting of some story was boring for the student. Sight words are words that are so common in English that they need to be memorized. Often they cannot be sounded out because they violate the rules of phonology but this is not always the case. There are two common systems of sight words and these are Dolch and Fry respectively. In terms of which is better, it doesn’t really matter. I used Fry’s and again I think the lack of context was a problem as I was asking the student to learn words that lack an immediate application. After about a year of preparatory training, we finally began reading stories. The stories were little short stories appropriate for kindergarteners. At first, it was difficult but the student began to improve rapdily. It was much easier (usually) to get them to cooperate as well. The most important point is perhaps not the most obvious one. despite my inexperience and mistakes in pedagogy, the student still learned to read. In many ways, the student learned to read in spite of me. This should be reassuring for many teachers. Even bad teaching can get good results if the aspects of planning, discipline, and commitment to success are there. Students seem to grow as long as they have some guidance. I would say the most important thing in terms of teaching reading is to actually make them read. Reading provides context and motivation as the student can see what they cannot do. Studying all of the theoretical aspects of reading such as phonics and letters are only beneficial when the child knows they need to know this. Therefore, if you are provided with an opportunity to teach a child to read start with stories and as the struggle teach only what they are struggling with. For example, if they are having a hard time with long “o” sound, reinforcing that with supplemental theoretical work will make sense for the child. As such, children learn best by doing rather than talking about what they will do. This entry was posted in English, home school, reading comprehension and tagged english, reading comprehension on September 8, 2017 by Dr. Darrin. In reading assessment, the interactive and extensive level are the highest levels of reading. This post will provide examples of assessments at each of these two levels. Cloze assessment involves removing certain words from a paragraph and expecting the student to supply them. The criteria for removal is every nth word aka fixed-ratio or removing words with meaning aka rational deletion. In terms of marking, you have the choice of marking based on the student providing the exact wording or an appropriate wording. The exact wording is strict but consistent will appropriate wording can be subjective. This is perhaps the most common form of assessment of reading. The student simply reads a passage and then answer questions such as T/F, multiple choice, or some other format. Information transfer involves the students interpreting something. For example, they may be asked to interpret a graph and answer some questions. They may also be asked to elaborate on the graph, make predictions, or explain. Explaining a visual is a common requirement for the IELTS. This level involves the highest level of reading. It is strictly top-down and requires the ability to see the “big picture” within a text. Marking at this level is almost always subjective. Summarizing and reacting requires the student to be able to read a large amount of information, share the main ideas, and then providing their own opinion on the topic. This is difficult as the student must understand the text to a certain extent and then form an opinion about what they understand. I like to also have my students write several questions they have about the text This teaches them to identify what they do not know. These questions are then shared in class so that they can be discussed. For marking purposes, you can provide directions about a number of words, paragraphs, etc. to provide guidance. However, marking at this level of reading is still subjective. The primary purpose of marking should probably be evidence that the student read the text. The interactive and extensive level of reading is when teaching can become enjoyable. Students have moved beyond just learning to read to reading to learn. This opens up many possibilies in terms of learning experiences. This entry was posted in assessment, reading comprehension and tagged assessment, reading comprehension on August 18, 2017 by Dr. Darrin. This post will provide examples of assessments that can be used for reading at the perceptual and selective level. The perceptual level is focused on bottom-up processing of text. Comprehension ability is not critical at this point. Rather, you are just determining if the student can accomplish the mechanical process of reading. Reading Aloud-How this works is probably obvious to most teachers. The students read a text out loud in the presence of an assessor. Picture-Cued-Students are shown a picture. At the bottom of the picture are words. The students read the word and point to a visual example of it in the picture. For example, if the picture has a cat in it. At the bottom of the picture would be the word cat. The student would read the word cat and point to the actual cat in the picture. This can be extended by using sentences instead of words. For example, if the actual picture shows a man driving a car. There may be a sentence at the bottom of the picture that says “a man is driving a car”. The student would then point to the man in the actual picture who is driving. Another option is T/F statements. Using our cat example from above. We might write that “There is one cat in the picture” the student would then select T/F. Other Examples-These includes multiple-choice and written short answer. The selective level is the next above perceptual. At this level, the student should be able to recognize various aspects of grammar. Editing Task-Students are given a reading passage and are asked to fix the grammar. This can happen many different ways. They could be asked to pick the incorrect word in a sentence or to add or remove punctuation. Pictured-Cued Task-This task appeared at the perceptual level. Now it is more complicated. For example, the students might be required to read statements and label a diagram appropriately, such as the human body or aspects of geography. Other Examples-Includes multiple-choice and matching. The multiple-choice may focus on grammar, vocabulary, etc. Matching attempts to assess a students ability to pair similar items. Reading assessment can take many forms. The examples here provide ways to deal with this for students who are still highly immature in their reading abilities. As fluency develops more complex measures can be used to determine a students reading capability. This entry was posted in assessment, esl, reading comprehension, Uncategorized and tagged assessment, esl, reading comprehension on August 16, 2017 by Dr. Darrin. Reading for comprehension involves two forms of processing which are bottom-up and top-down. Bottom-up processing involves pulling letters together to make words, words to make sentences, etc. This is most commonly seen as students sounding out words when they read. The goal is primarily to just read the word. Top-down processing is the use of prior knowledge, usually organized as schemas in the mind to understand what is being read. For example, after a student reads the word “cat” using bottom-up processing they then use top-down processing of what they know about cats such as their appearance, diet, habits, etc. These two processes work together in order for us to read. Generally, they happen simultaneously as we are frequently reading and using our background knowledge to understand what we are reading. Perceptive reading is focused primarily on bottom-processing. In other words, if a teacher is trying to assess this type of reading they simply want to know if the student can read or not. The ability to understand or comprehend the text is not the primary goal at this. Selective reading involves looking a reader’s ability to recognize grammar, discourse features, etc. This is done with brief paragraphs and short reading passages. Assessment involves standard assessment items such as multiple-choice, short answer, true/false, etc. Interactive reading involves deriving meaning from the text. This places even more emphasis on top-down processing. Readings are often chosen from genres that employ implied main ideas rather than stated. The readings are also more authentic in nature and can include announcements, directions, recipes, etc. Students who lack background knowledge will struggle with this type of reading regardless of their language ability. In addition, inability to think critically will impair performance even if the student can read the text. Extensive is reading large amounts of information and being able to understand the “big picture”. The student needs to be able to separate the details from the main ideas. Many students struggle with this in their native language. As such, this is even more difficult when students are trying to digest large amounts of information in a second language. Reading is a combination of making sense of the words and using prior knowledge to comprehend text. The levels of reading vary in their difficulty. In order to have success at reading, students need to be exposed to many different experiences in order to have the background knowledge they need that they can call on when reading something new. This entry was posted in English, esl, reading comprehension and tagged english, esl, reading comprehension on August 11, 2017 by Dr. Darrin. Discourse markers are used in writing to help organize ideas. They are often those “little words” that native speakers use effortlessly as they communicate but are misunderstood by ESL speakers. This post will provide examples of various discourse markers. Logical sequence discourse markers are used to place ideas in an order that is comprehensible to the listener/reader. They can be summative for concluding a longer section or resultative which is used to indicate the effect of something. An example of summarizing discourse markers is below. The bold word is the marker. Smoking causes cancer. Studies show that people who smoke have higher rates of lung, esophagus, and larynx. Therefore, it is dangerous to smoke. The paragraph is clear. The marker “Therefore” is summarizing what was said in the prior two sentences. An example of resultative discourse markers is below. The bold word is the marker. Again, the second sentence with the marker “As a result” explain the consequence of smoking for 20 years. Constrastive markers are words that indicate that the next idea is the opposite of the previous idea. There are three ways that this can be done. Replacive share an alternative idea, antithetic markers share ideas in opposition to the previous one. Lastly, concessive markers share unexpected information given the context. A long and healthy life is unusually for those who choose to smoke. Instead, people who smoke live lives that are shorter and more full of disease and sickness. Bob smoked for 20 years. In spite of this, he was an elite athlete and had perfect health. Discourse markers play a critical role in communicating the finer points of ideas that are used in communication. Understanding how these words are used can help ESL students in comprehending what they hear and read. This entry was posted in English, esl, reading comprehension and tagged english, esl, reading comprehension on February 8, 2017 by Dr. Darrin. Reading comprehension is a key academic skill. To comprehend a reading text means to understand what the author was trying to communicate and to share the author’s intentions along with, if possible, your own perspective on the text. Doing this is not easy at all. In general, there are three levels of reading comprehension and they are. This post will discuss each of these three levels of reading comprehension. Decoding is the most basic level of reading comprehension. At this level, a person breaking down words into there component syllables and “sounding them out.” He or she blends the words together and reads the text. This is the experience of many people who are learning to read. The focus is on learning to read and not reading to learn. There is a minimal amount of reading comprehension at this level. The reader can recall what they read based on memory but there is often an inability to think and comprehend at a deeper level beyond memory. For teaching, teaching decoding normal happens either with ESL students or with native speakers in early the early primary grades. This can be taught using a phonics-based approach, whole reading approach or some other method. Critical literacy assumes that decoding has already happened. At this level, the reader is actively trying to develop a deeper understanding of the text. This happens through analyzing, comparing, contrasting, synthesizing, and or evaluating. The reader is engaged in a dialog with the text in trying to understand it. Developing critical literacy in students requires employing teaching and learning strategies from the higher levels of Bloom’s Taxonomy. Leading discussions that require higher level thinking and or writing assignments are some ways to accomplish this. It is important to remember that readers should have already mastered decoding before attempting critical literacy. It is easy to cause cognitive overload by trying to have a reader decode text while trying to discuss the deeper meaning of the content. As such, critical literacy strategies should be avoided until upper primary school. Dynamic literacy assumes mastery of decoding and some mastery of critical literacy. Dynamic literacy goes beyond analysis to relate the content of the text to other knowledge. If critical literacy is focused only on the text, dynamic literacy is focused on how the current text of the reading relates to other books. For example, a reader who is reading a book about language acquisition may look for connections between the acquisition of a language and grammar. Or they may be more creative and look for connections between language acquisition and music. This interdisciplinary focus is unique to what is currently considered the highest level of reading comprehension. A more practical approach to doing this would be to compare what several authors say about the same subject. Again, the focus is on going beyond just one book or one subject to going across different books and or viewpoints. In general, dynamic literacy is probably not possible before high school or even college. This entry was posted in English, esl, reading comprehension and tagged english, English curriculum, esl, reading comprehension, tesol on November 27, 2015 by Dr. Darrin. Most teachers are trying to get their students to read more. The question to ask is what kind of reading are teachers trying to get students to do. In general, there are two common ways in which students read and they are extensive reading and intensive reading. Extensive reading is having students read broadly for the sake of reading in a pleasurable way. Doing so improves students word recognition and builds overall reading ability. For many students, including adult ESL, you cannot just turn them loose and say read. Rather, it is important to develop some sort of guidelines for extensive reading. The books students choose to read extensively should be at their reading level so that comprehension is the primary goal. The teacher needs to provide motivation. This can be done through the use of assignments, group work, or other activities related to the books the students are reading. There must be some mechanism in which students are required to report their opinion about a book they have read. Extensive reading is often done outside of class or as a small part of the school day. If it happens outside of class it requires the students to have some discipline to complete an assignment on their own. If it happens in class it is often used as a cool-down after an exciting activity. Intensive reading is serious focused reading for the purpose of achieving a study goal. A common example is reading a chapter to answer questions. This requires a slightly different scaffolding in order to have success. Below are some principles to keep in mind when having students read intensively. Students must know why they are reading and for how long. This helps with goal-setting and self-regulation. There must be some sort of way for students to provide feedback about what they learned. It can something as simple as a discussion, or as complex as developing a presentation. When a discussion takes place, students must refer to the text while discussing to demonstrate their familiarity with it. Intensive reading is often done in class. One challenge with intensive reading is vocabulary. Students often see too many words that they do not know the answer too. The constant use of dictionaries uses up all the time set aside for reading. As such, teachers need to monitor dictionary use so that they do not impede the goal of reading the text. Reading is a skill that most would agree that students need to develop. Extensive and intensive reading provide different ways in which students can develop reading skills. Reading for pleasure or purpose is some of the primary ways in which adults read. As such, extensive and intensive reading are excellent strategies for supporting students in the development of their reading abilities. This entry was posted in English, reading comprehension and tagged english, esl, reading comprehension on July 29, 2015 by Dr. Darrin. In this post, we conclude our discussion on writing patterns by looking at two more types. The two types of writing patterns for this post are cause and effect and comparison. Causes are reasons and effects are the results of the reason. Causes have an effect on something or somebody. A paragraph that uses this writing pattern indicates the reason something happened and how it has an impact. Below are some common phrases and clues that indicate cause and effect writing pattern was employed. Here is an example paragraph using this writing pattern, The cause is bold and the effect is underline. Dogs make good pets. Since they are friendly dogs cause people happy. In addition, because dogs love being around humans, the consequence is people often begin to love dogs. In this paragraph, there were two cause and effect moments. The second and third sentence were both cause and effect. As you looked at the paragraph, you may have noticed that in the first example the effect came before the cause. This is common and normal in writing. The second example shares the cause before the effect. Either approach is acceptable. The goal of cause and effect or effect and cause is to show how one thing leads to another. From this list, you can see that it is more common to identify the effect first and then the cause. However, this is not always the case. This identifies similarities, difference, or both in two or more things/concepts. Below are common words and phrases associated with compare/contrast writing pattern. Here is an example comparison words are bold and contrast words are underlined. Dogs are similar to cats. Both have four legs and a tail. However, dogs and cats are different in their behavior. Dogs are much friendlier than cats are with people. Though they are different both dogs and cats make good pets. There is not much to explain. The different words employed indicate how dogs and cats are similar and different. Paragraphs can employ this mixed approach or focus completely on comparing or contrasting. What’ is best depends on the context. Writing patterns provide ways in which to communicate ideas. There is no reason another will limit themselves to such fix approaches when expressing their ideas. These patterns are for helping students to see how an author is trying to express themselves. This entry was posted in reading comprehension and tagged reading comprehension, writing patterns on November 2, 2014 by Dr. Darrin. There are at least two types of main ideas. The stated main idea, which was already discussed, is an idea that the author supplies in the paragraph. The topic of this post is the implied main idea. There are several ways to find the implied main idea. Below are just some of many strategies. Strategy 1: Add necessary information (normally the topic) to a sentence in the paragraph that almost shares the main idea. Strategy 2: Combine two separate sentences in a paragraph into a one sentence to develop the main idea. Strategy 3: Summarize supporting details into one general sentence to serve as the main idea. Many times, the main idea is present but the topic is replaced with another noun or pronoun. Look at the example paragraph. The implied main idea is underlined and bold for you. –Dogs are friendly. Dogs love to play. Dogs like to eat food and run. Everyone should own one. The topic of this paragraph is dogs. The last sentence in the paragraph above is the main idea. However, the word dog is not used in the last paragraph. The author replaces the word dog with the noun one. The word one means dog in this context. In order to develop the main idea, the reader would need to know to replace the noun one with dog. Sometimes them main idea is spread over two sentences. In this case, the sentences need to be combined in order to develop the main idea. Look at the example paragraph. The implied main idea is underlined and bold for you. –It is important that people own dogs. It is also important that people love their dogs. Consider that dogs are friendly. They love to play. Finally, dogs like to eat food and run. It is important that people own and love their dogs. The rest of the paragraph is supporting details that explain why people should own and love dogs. In some instances, an author will develop a paragraph that is only supporting details. The author never shares nor even implies a main idea. The reader must derive the point by examining the details. Below is an example. Nothing is bold or underline because there is no answer anywhere in the paragraph. –Dogs are cute. Dogs are funny. Dogs love to play. Dog like to eat. Why would anyone not want a dog? In order to develop the main idea, we have to find a way to summarize this information. There are many different answers. One potential answer would be to count the number of supporting details and determine what they have in common. Look at the following potential answer. There are at least four reasons why people should want a dog. If you look at the paragraph there are five sentences, four sentences talk about great things about dogs. The last sentence is a question. Main ideas can never be questions but this sentence provides a clue about what the author was trying to tell us. Instead of giving us the main idea, the author gives the answers to a question and then provides the question at the end of the paragraph. Turn the question into a statement and this is one way to get the main idea. Again, this is not the only answer. Someone might see something different in the text and derive a slightly different answer. The goals is to try to determine what you think the author is trying to say. The implied main idea must be derived by the reader. This requires knowing the different strategies to do this. These strategies are particularly useful for people who are struggling with their reading. NOTE TO WRITERS: In most research settings it is unwise to imply the main idea. Teachers want to know what the point is and they often do not have the patience to try and guess what you are saying. It is better to state the main idea when writing academic papers. Being coy and indirect will usually harm your grade. One major exception is writing in the English department. This entry was posted in reading comprehension and tagged implied main idea, reading comprehension on October 28, 2014 by Dr. Darrin. The supporting details are examples, explanation, proofs, statistics, etc. that support and illustrate the point being made by the main idea of a paragraph. They are supporting because they lift up the main idea and help to make it clearer through providing a deeper explanation of the author’s main point. In order to find the supporting details, a reader needs to find the main idea and turn it into a question. The aspects of the paragraph that answers these questions are the supporting details. Let’s look at an example. There are several reasons why smoking is bad for you. First, smoking waste a lot of money that can be used for other activities. Second, smoking harms your health. Lastly, smoking is a bad example for children. Here is a breakdown of the paragraph. We know that the first sentence is the main idea. Main idea: There are several reasons why smoking is bad for you. Supporting Details: First, smoking waste a lot of money that can be used for other activities. Second, smoking harms your health. Lastly, smoking is a bad example for children. Perhaps you noticed that most of the time, everything that is not the main idea is normally a supporting detail but there are exceptions to this. As stated earlier, in order to identify the supporting details, a reader needs to turn the main idea into a question(s). Below is an example. Conversion of the main idea into a question: What are the reasons that smoking is bad for you? details into an answer: First, smoking waste a lot of money that can be used for other activities. In addition to turning the main idea into a question, there are three clues for finding supporting details. Supporting details often appear as a list of bullets, as a set of numbers, or lettered list. After the first supporting detail, additional details are introduced by words and phrases such as In addition, also, moreover, another, next, then, first, second, last, finally, etc. The main idea sentence itself often provides hints about the number or type of supporting details. Such words and phrases such as four reasons, two kinds, six types, certain ways, three categories, etc. We will take the previous paragraph and provide examples of each. There are several reasons why smoking is bad for you. It wastes a lot of money that can be used for other activities. This is not much of paragraph but it provides reasons for the main idea. There are several reasons why smoking is bad for you. First, smoking waste a lot of money that can be used for other activities. In addition, smoking harms your health. Lastly, smoking is a bad example for children. In this example, the introductory phrases are bold and it shows the addition of another supporting detail. This example highlights how the main idea can provide the clue. The phrase “several reasons” in bold is a signal to a reader that there should be several supporting details that explain the main idea about smoking. As you can see several clues can be used to find the supporting details in the same paragraph. It does not matter how you find the main idea as long as you separate the point from the details. For writers, it is important that there is consistency between the main idea and supporting details. Many times, writers will only have details and no main idea or the say that they have several reasons and only provide one. Understanding the importance of supporting details and their role in reading and writing will enhance reading comprehension and writing clarity. This entry was posted in reading comprehension and tagged reading comprehension, supporting details on October 26, 2014 by Dr. Darrin. The first step for a student to understand what they are reading is to know the topic of what they are reading. The topic is simple what the author is writing about. This sounds ridiculous but for students, especially those who are reading in a second language, it is not always easy to determine what the topic of a reading passage is. Below is a list of common characteristics of a topic. The “something” an author is writing about is the topic. The topic is the who or what that the author writes about. The topic is always a word, a phrase, or a name and it is never written as a sentence. In addition to these characteristics above, there are four common clues that can be used to identify the topic. Below is the list and each will be explained with an example. Look for a heading or title. Look for words in special print, such as bold, italics, or color—or some combination, such as bold italics. Look for repeated words in a paragraph. Look for something mentioned at the beginning of the paragraph and then referred to throughout the paragraph by pronouns or by other words. The example below gives the topic of the passage in the title. This is an obvious example, however, students often skip the title to begin reading and never know what they are reading about. This is one reason that students must be taught to read the title first, if it is available, as it provides a framework for reading the details. Somewhere University is a school in Southeast Asia. It has about 300 students. The school offers several majors that focus mainly on humanitarian service. Somewhere University also has a diverse faculty with teachers from all over the world. Sometimes the topic is in the text and the writer uses special print or color to identify it. Again students run right to pass such obvious information. Below is the example. The topic is in bold and italics within the paragraph. Somewhere University is a school in Southeast Asia. It has about 300 students. The school offers several majors that focus mainly on humanitarian service. Somewhere University also has a diverse faculty with teacher from all over the world. In this example, the text is bold and in red. This is a common approach in textbooks. Many times the topic can be found by looking for words and phrases that are repeated continuously within a reading passage. The more often a word or phrase is used the more likely it is the topic. Below is an example. Count how many times the word “Somewhere University” is used. Somewhere University is a school in Southeast Asia. It has about 300 students. Somewhere University offers several majors that focus mainly on humanitarian service. Somewhere University also has a diverse faculty with teacher from all over the world. The noun Somewhere University is in every sentence as the subject. As such, it is the topic of this paragraph. After mentioning the topic by name, many authors will refer to it by other names or pronouns. This can be especially confusing for people new to the language as they may not have mastery of the various pronouns and synonyms appropriate for the topic. Below is an example. Somewhere University is a school in Southeast Asia. It has about 300 students. The school offers several majors that focus mainly on humanitarian service. The Institute also has a diverse faculty with teacher from all over the world. Remember this can be very confusing for many students when one word is referred to by several different other words. These are some tools to help students to figure out what they are reading about. Are there other ways to do this? If so please respond in the comments section. This entry was posted in reading comprehension and tagged reading comprehension, topic on October 23, 2014 by Dr. Darrin. A common problem for students, from elementary to grad school, is figuring out the meaning of a word they do not know. Understanding the words in a reading passage is important for comprehension. Fortunately, there are several ways of determining the meaning of these unknown words. These approaches are called context clues because the context or environment in which the words are used help to explain their meaning. In this post, we will look at three context clues and they are Definition or synonym clues, Contrast clues, and Example Clues. the word. Below are some signals that the author uses to define the unknown word. A sentence using the signal is provided for each one and the signal is in bold. The unknown word for each sentence is the word convoluted. –synonyms introduced by or, in other words, that is, is also known as, by this we mean, etc. The book is convoluted and by this we mean it is complicated. Of course there are other ways that author defines words but this serves the purpose of providing a foundation for knowing when this happens. Contrast clues define unknown words by providing a word that has the opposite meaning of the unknown word. Below is a list of signals with examples and the signal is in bold when possible. The unknown word again is convoluted. Women are convoluted but men are simple. Women are convoluted, however, men are simple. An example clue illustrates a word through providing examples. Below is a list of signals with examples and the signal is in bold when possible. The unknown word again is convoluted. For example, a convoluted machine would be the human body. There are several other ways to define unknown words that have not been discussed yet. In the next post, we will look at the last two clues for determining the meaning of unknown words. This entry was posted in English, reading comprehension and tagged english, reading comprehension on October 21, 2014 by Dr. Darrin.